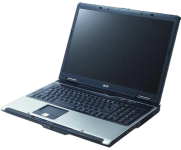 Aspire 7000 Notebook series by Acer are excellent value desktop replacement suited for those who want a large screen laptop at an affordable price. Equipped with Acer CrystalBrite Technology, these notebooks give an immersive visual experience that no other laptop does at this price. An upgrade in memory will improve the speed and efficiency of your notebook.